With its solid performance, strong build and great fan power, the GermGuardian AC9200WCA is great way to get a flagship air purifier that looks and feels expensive but does not cost the earth. Since the new direction of GermGuardian AC5900W, Guardian Technologies truly commits in making big-size air purifiers. And today, we will find out the truth in our GermGuardian AC9200WCA Review. Well balanced CADR rating and ACH rating. Guardian Technologies‘s first play into the mid-range market packs an eye-catching design, an impressive air cleaning system and a competitive price range. What’s not to love? Together with us, let’s see what this American tech giant want to deliver in our GermGuardian AC9200WCA Review. We stated a lot in the previous GermGuardian reviews about how this brand is gonna do to push into the mid-range market, starting with the bigger-than-average GermGuardian AC5900WCA. In fact, the company has released three consecutive air purifiers with a volley of changes to the design. 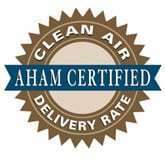 Most of American air purifier’s lovers could expect more, but first let’s check the price. As the name implies, GermGuardian AC9200WCA is a different product line from the previous GermGuardian’s air purifiers, starting with number “9”. For that upgrade, the GermGuardian AC9200WCA comes with $399, which is double the price of these “5” flagships, like GermGuardian AC5900WCA and GermGuardian CDAP5500BCA. This price translates into a bigger body and larger fan size. However, with a $399 price tag, the company puts their GermGuardian AC9200WCA into a really difficult battle with other candidates like Rabbit Air BioGS 2.0, Alen BreatheSmart FLEX and of course, Honeywell AirGenius 6 HFD360B. Compete with these domestic air purifiers, is there any chance for this new GermGuardian AC9200WCA to win a niche? We will find out it right now, but first, let’s look at a $60 OFF (included a $8.6 Coupon) for this American flagship – GermGuardian AC9200WCA. GermGuardian AC9200WCA 3-in-1 Large Room Air Purifier, HEPA Filter, UVC Sanitizer. The Large Room Allergen and Odor Reducing Air Cleaning System with HEPA Filter and UVC, up to 335 sq ft room coverage. LIMITED DEAL. The GermGuardian AC9200WCA is a sandwich of a large fan with a whole polished plastic body filling. It’s wider and bigger than the GermGuardian AC5900WCA and even the Honeywell HPA300, but feels much more aesthetic thanks to a stylish handle on top and the curling angles which are only available in this air purifier. The front panel stays the same as classic GermGuardian’s air purifiers, mostly for the beauty, not for the performance. To rate both the beauty and the efficiency of this panel, I prefer the Rabbit Air BioGS 2.0 more, mostly because of the smarter design. 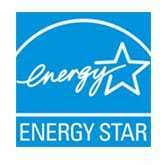 However, Guardian Technologies solved that by making a bigger fan, and therefore maintain the performance rating. Since the AC5900W, Guardian Technologies has improved the bottom-to-top air flow design language to fit the broad size of GermGuardian AC9200WCA. This concept is also the most popular among the mid-range air purifiers, like Rabbit Air BioGS 2.0 or Alen BreatheSmart FLEX, so you can believe in the new GermGuardian AC9200WCA. Again, on top of this GermGuardian AC9200WCA, we will see a simple control panel with 4 buttons as you can see below. There is just only White color option for this GermGuardian AC9200WCA, as well as the previous GermGuardian AC5900WCA. I don’t know if Guardian Technologies has planned to add a popular Black version or not, but it seems that Guardian Technologies is in love with the White tone more. The GermGuardian AC9200WCA is also the biggest air purifier of this brand at the moment, with 27 inches in height and 17 inches in width. This air purifier weighs 21 lbs, which is a little bit bigger than the Rabbit Air BioGS 2.0. However, you can still move this air purifier easily from anywhere in your home. When it comes to raw performance of an air purifier, we decide based on how many filters it has and what types of air filters are used. The GermGuardian AC9200WCA stays the same signature 3-in-1 air cleaning system, but with a better improvement to deliver the greatest efficiency. Pre-filter – A normal pre-filter screen that can capture large dust particles and pet hair, mostly to help extend the True HEPA filter life. True HEPA filter and Activated Carbon Filter – GermGuardian AC9200WCA uses double the normal quantity of True HEPA filter and Activated Carbon filter, to double the filtration for up to 99.97% of as small as 0.3 microns particles like household dust, pet dander, mold spores and plant pollen. The Activated granular carbon filter reduces odors from pets, smoking, cooking along with harmful VOC’s emitted from a variety of household products and chemicals. UV-C Light – The latest GermGuardian UV-C light bulb to kill germs without the use of chemicals and produces no ozone or chemical sprays. It can also kill airborne bacteria, viruses and mold spores. It’s truly the quantity over quality. GermGuardian AC9200WCA stacks 2X the True HEPA filters and Activated Carbon filters in its body, to increase the filtration efficiency against all types of allergens and gaseous chemicals. Clearly, the implementation is more advanced than the previous-generation technology we saw on GermGuardian AC5900WCA or GermGuardian CDAP5500BCA. And with that installation, the GermGuardian AC9200WCA’s performance rating is truly stunning. In comparison to others in the same price range, the GermGuardian AC9200WCA needs this double filtration because it doesn’t have ionic filter like Rabbit Air BioGS 2.0, or Plasmacluster Ion in Sharp FP-A80UW. Without these trapping technologies, an extra physical filter is necessary. More or less, you still have the signature UV-C light filter in GermGuardian AC9200WCA. 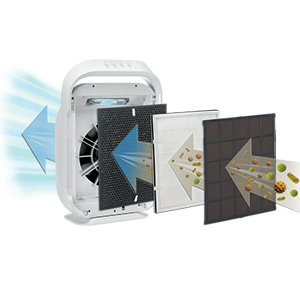 Guardian Technologies knows exactly what to put in their air purifiers to compete with others. An UV-C light bulb, while consumes more energy, doesn’t produce any ozone and as a result, can’t irritate any breathing issues. The fact that only this American brand still develop in the combination of air purifier and air sanitizer makes this GermGuardian AC9200WCA a little bit more special. GermGuardian AC9200WCA uses the latest Filter H from this brand, with a higher cost of $79, and needs to be replaced after 6 to 8 months of use. You should notice that the cost is quite similar to the BioGS HEPA filter of Rabbit Air BioGS 2.0, but with a lot less lifetime. Due to the shorter life, the average filter replacement cost of this GermGuardian AC9200WCA is still higher than normal. However, we have a great deal to discount the filter cost to only $45, and you should grab it as soon as possible. Based on my previous experience with the GermGuardian AC5900WCA, I am sure that the room coverage test of this GermGuardian AC9200WCA will not exceed the predecessor. And as a result, we have a closed number of 335 sq ft. In this price range, the specified room coverage is small if compared with Rabbit Air BioGS 2.0 (625 sq ft) or Alen BreatheSmart FLEX (700 sq ft). But don’t just give up on this air purifier, let’s scroll a little below. The ACH of GermGuardian AC9200WCA is 4X. The high air changes per hour rating allows this air purifier to delivers more air flows to clean your room. In short, your room of 335 sq ft will be cleaned once after 15 minutes. The CADR of GermGuardian AC9200WCA is 216 Dust/ 216 Smoke/ 265 pollen (cfm). This CADR rating is quite the same as AC5900WCA and shows exactly how fast GermGuardian AC9200WCA can clean your room. You don’t need to be good at math to know that the GermGuardian AC9200WCA can clean your room faster than a Rabbit Air BioGS 2.0 (only CADR of 170 cfm). Cleaning your room faster means you can turn off the air purifier sooner, to save some precious energy in your home. On paper, this company never specify the noise level, or add the title of True Air cleaner for marketing. With no confirmation of these things, it’s easy to assume that this GermGuardian AC9200WCA is not a silent air purifier. That is reasonable, because with a higher fan power, the sound is undeniable. Even at the lowest setting, the noise level of GermGuardian AC9200WCA can reach 40 db, which is higher than most of the normal air purifiers in the market. For example, the AeraMax 300 is only 35 db, the Sharp FP-A80UW with 23 db or the Rabbit Air BioGS 2.0 with only 22.8 db. And when you switch to the highest setting, the noise level of GermGuardian AC5300B can reach as high as 60 db. This is such a noise level of the public restaurant, or an air conditioning unit at 100 feet. I bet most of our beloved readers won’t find this noise level acceptable. With only 3 fan speeds, the GermGuardian AC9200WCA produces lots of noise at highest setting. If you need this air purifier when you sleep, or when you need to work in silence, you should only run it at lowest setting. Or else, I believe the Rabbit Air BioGS 2.0 is a much better choice. The very disadvantage of an UV-C light is the addition of power consumption, and there is no exception for GermGuardian AC9200WCA. This time, the American manufacturer has increased the power consumption of this air purifier to 78W, which is higher than the 60W of the GermGuardian AC5900WCA. If you manage to run the air purifier mostly in low setting, you don’t need to pay much for your energy bill. For using a GermGuardian AC9200WCA 8 hours per day, it would cost you up to $28 per year. As you can see, the annual cost is small, and you shouldn’t think about it all the day. 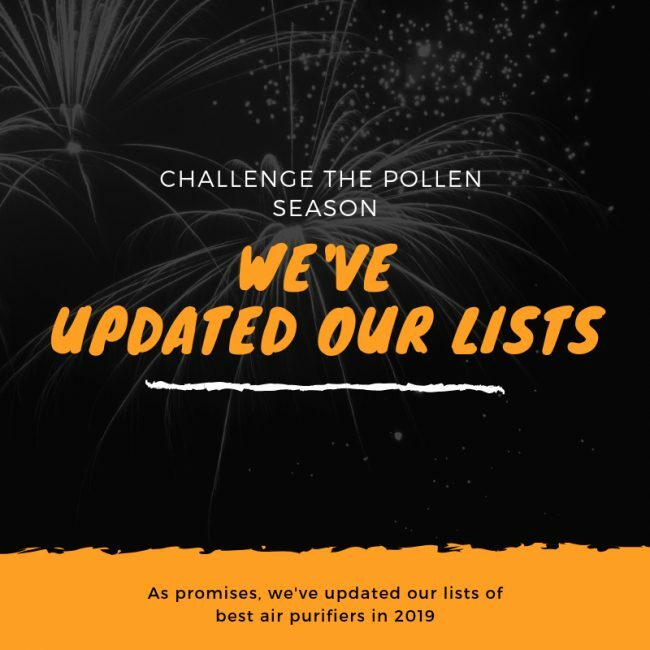 GermGuardian is well-known for adding Smart features in even the $200 low-range air purifiers, but funny, there is no such thing in this flagship of the American brand. 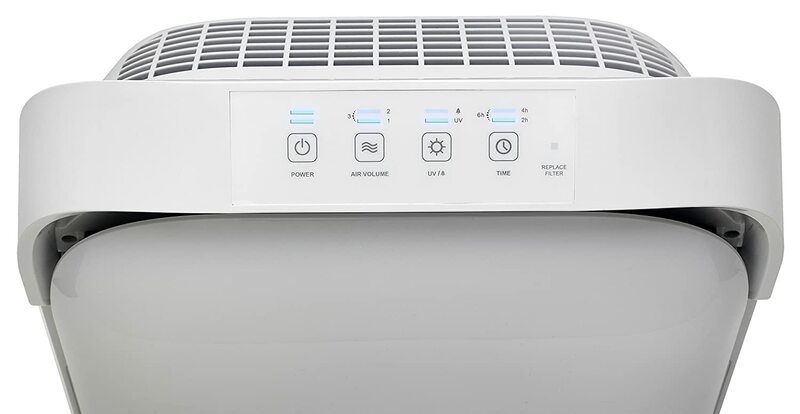 We can accept that the Wifi connectivity function is still new in air purifier, and apart from the Blueair Classic 205, there is no air purifier in this price range offering Smart connection. But removing the Smart Sensor is kinda strange, because a mid-range air purifier really needs this air sensor for better user experience. Okay, so back to a classic GermGuardian air purifier, with only one Timer to save you. The last but not least, you still have the LED indicator for filter replacement. This function is so common and I don’t want to repeat here. To raise the bar up to $399, Guardian Technologies has to commit with a better quality air filter, and that’s exactly what they do for the latest GermGuardian AC9200WCA. But again, this American brand still forget about what they could bring to their customers – the Smart features. We should hope for a better day, but right now, you need to operate the air purifier manually. Should I buy GermGuardian AC9200WCA? Yes, this is the best air purifier you can get from this American brand. It has sleek design, great air filtration system and fan power, but still forgets the Smart features. If you have serious allergies or asthma to airborne pollutants: the GermGuardian AC9200WCA is powerful with its 3-stage air cleaning system. If you want a better performance, or better fan power to clean your room faster: you can choose between the Blue Pure 121 and Sharp FP-A80UW for a better fan power. If you need an air purifier with a better room coverage: you could pay $30 more for the Alen BreatheSmart 45i with a suggested room size of 800 sq ft. For the price of GermGuardian AC9200WCA, the Rabbit Air BioGS 2.0 can deal with 625 sq ft, the Oransi Max is 1100 sq ft, and the Levoit LV-H134 with 700 sq ft. If you need a budget version of this air purifier: you can select the GermGuardian AC5900W. But I suggest you to buy the Coway AP-1512HH, Winix 5300-2, Winix C535 and Winix 5500-2 instead, as they pack with better fan power. If you need a more silent air purifier: you should get the Rabbit Air BioGS 2.0 or Alen BreatheSmart FLEX for a quieter device. If you care about the annual filter cost and energy cost: the Rabbit Air BioGS 2.0 and Levoit LV-H134 are better options for you. If you love the additional features: you can get the Blueair Sense+, Winix NK105 or Winix HR1000, for both Smart Sensor and Wifi capability. Others with only Smart Sensor are Winix HR950, Levoit LV-H134 and Alen BreatheSmart 45i. If you just need the Wifi capability function, you should buy the Blueair Classic 205. You can also check the Sharp KC-850U or Sharp KC-860U for the humidifier function. This GermGuardian AC9200WCA is this brand 2019 flagship for now, but with such short life cycle, we should wait for another review soon.